We’ve been playing Donkey Kong Country Returns today and it rocks. If you’re a fan at all of the DKC games from Super Nintendo or N64 then you need to pick this one up. If you’re new to the series we think you’ll be able to enjoy it too. 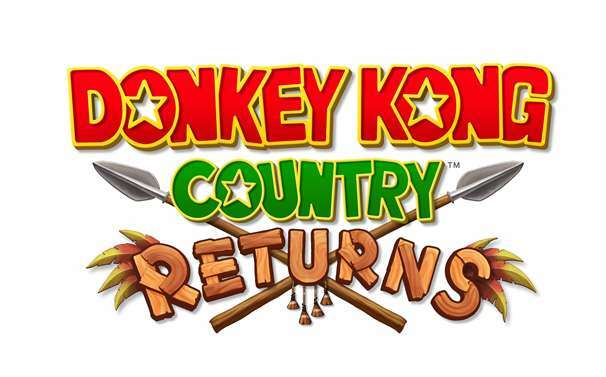 While the game is very similar to previous Donkey Kongs, there are several differences. Coop is played out together instead of swapping and it is the only way to play Diddy Kong. There’s no longer throwing your companion, it seems like there aren’t as many rideable creatures, and the Wii has added a lot of wiimote shaking which limits the traditional controls — it would have been better if they let you have classic controller options instead of forcing the use of the Wiimote. The graphics are great and the levels are very well designed with lots of secrets and opportunities to use those Wii-shakes to blow stuff like dandelions (down and shake) or ground pound (just shake). Diddy Kong, playable by player 2, has his rocket pack which gives him quite an edge in jumping and a benefit to Donkey Kong as you’re able to attach yourself onto his back and help him fly. In coop play both players get to control the mine karts when you’re in them or the rocket barrels that you fly; this makes it fun to either both try and control or let your partner take over. We both agree that it’s challenging. The first boss was a surprise, since usually the first boss can be walked all over. We’re not ashamed to admit we died enough to get three game overs. Donkey Kong Country Returns is easily one of the best games available on the Wii. Previous PostWho had the best E3: Microsoft, Nintendo, or Sony? Next PostWe now return you to your regular blogging schedule + Kinect impressions. What kind of gear does the first boss drop? It’s already on my Xmas list! It’s ridiculously hard compared to most of these Wii games out there, but that’s true Donkey Kong style. We’re on the 5th world and so far the hardest levels are the bonus “K” levels that you get for obtaining KONG on all levels. We think whoever made them did so knowing they would torture the players trying to get through them.